Nothing seems worse than standing at the crossroads. A Course in Miracles calls it "The Branch in the Road". If you have ever found yourself at a Crossroads in your life; the way before you blocked, the way you came no longer matters. 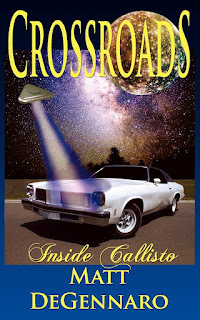 If you have ever wondered what the next step in life might be, or found yourself bewildered by the overwhelm of information coming to you, then Matt Degennaro's book "Crossroads: Inside Callisto" is for you. Although Matt's book is a novel, the principles "Inside Callisto" hold true and for those of us looking for guidance, vision, wisdom, humour and inspiration, Crossroads helps us to navigate the unconscious mind easily. Not only that but Matt Degennaro's new novel is a romantic thriller, a suspenseful mystery, a transformational leap in consciousness and a swashbuckling good story! Buy your copy at Abebooks.com from as little as $15.66 (plus postage). Also available on Amazon, B & N, Waterstones, WHSmith, The Book Depository, Blackwells, and as a digital download on Google Books and Amazon Kindle. Order your copy today, before it is too late and your mind is made up for you! And you find yourself once more... standing at the "Crossroads." bolster your case or expedite the publishing process. 2. Write a simple enquiry letter. a brief synopsis of your book and what your goals and intentions are. otherwise offered you a publishing deal. 3. Include a few sample chapters. offered a contract before your publisher has even seen your manuscript. 4. Include a copy of your CV. 5. Be enthusiastic about your book. others to be enthusiastic for you. 6. Believe in your own work. experience and even what we create all have their roots in our beliefs. to be enthusiatic about it with others. 7. Be patient and understanding. be patient and understanding with them. 8. If you do not understand "Ask". 9. Be committed to your work. Be committed to seeing your publishing project through to completion. Many projects fail to complete because of lack of trust and commitment. a decision. Many projects fail to complete because of a simple misunderstanding. with your publisher and your first misunderstanding could be your last. 10. Remember to thank your publisher. contribution and the finished product can hit the shelves with confidence. 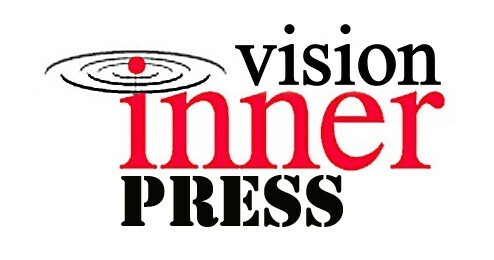 Click here to see "Ten Things That DO NOT Impress Your Publisher"